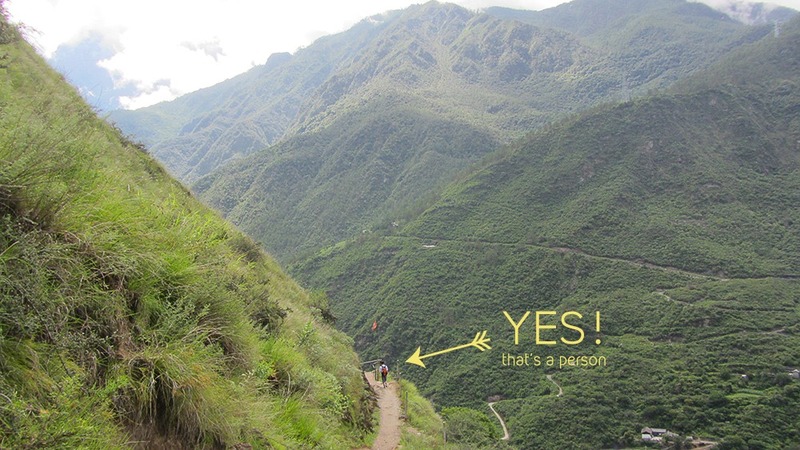 Have you ever over-estimated a hiking trail? It happened to me while preparing for the Tiger Leaping Gorge hike near Lijiang (China), which I was told was a 4-day hike. I’m not sure how slow the person telling me was hiking, as I ended up doing it in two days. I had packed cans of tuna, beans and other food that would last for 4 days of solitude, and my backpack ended up weighing around 16 kg (35 lbs). As it turned out, the (ample) guest houses along the way were well stocked on food, and I even found some food stalls conveniently located along the route. Apparently, I wasn’t the only one that overestimated the trip; plenty of trashed candy wrappers and empty water bottles can be found next to the hiking route. Nevertheless, it was an amazing experience and I don’t plan on forgetting it anytime soon. Which hiking trail should I choose? 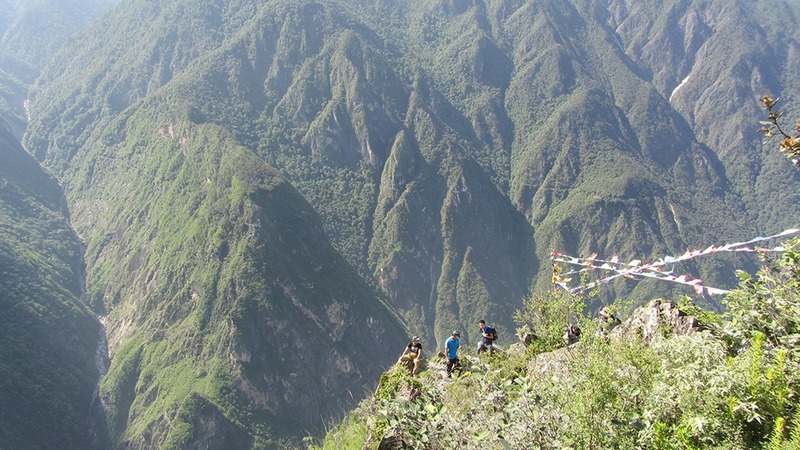 Where can I buy tickets for the Tiger Leaping Gorge? 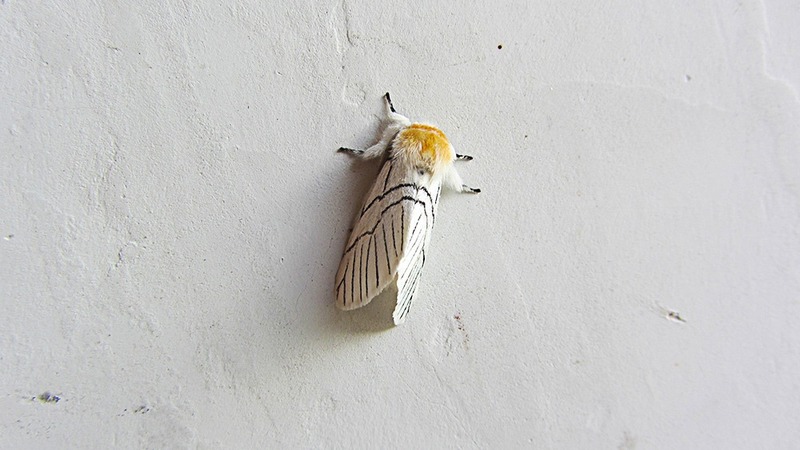 Do I have to book a guest house before setting off? 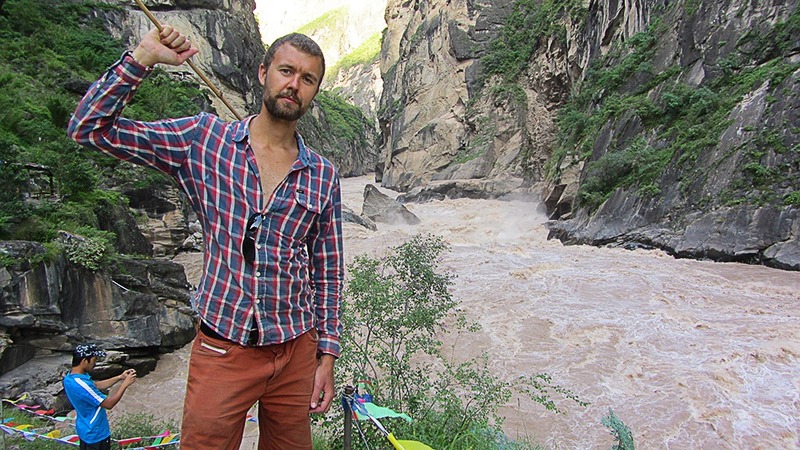 When does the Tiger Leaping Gorge close? 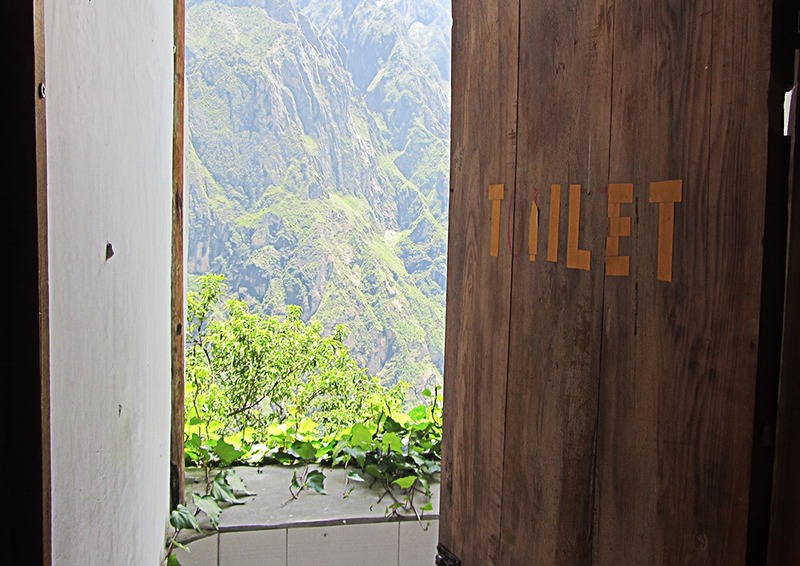 The Tiger Leaping Gorge at it’s best. 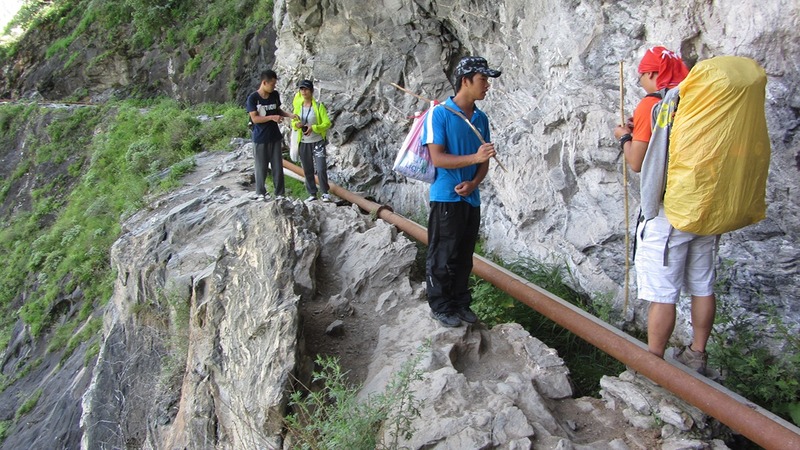 There are Naxi minorities, Han Chinese, Bai minorities, Yi minorities, and some Tibetan people living near the gorge. 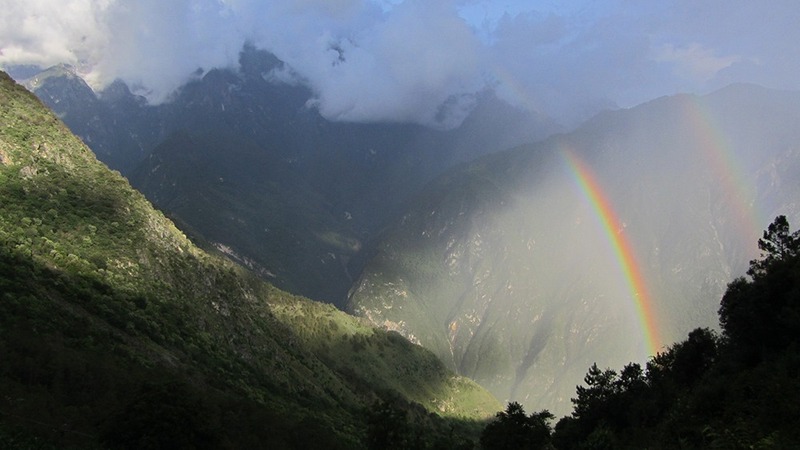 The best time to visit the Tiger Leaping Gorge is in September/October and April/May, which is usually the dry season. In winter it can get cold and also the sun rises late behind the mountain ridges. Between May and September, the rainy season, heavy rains can make the trail hazardous with landslides and rockfall. Landslides, anyone? I can tell you, it’s a looong way down. During the summer, around April, May, and June, you can still see the snow on the mountain tops; a stunning sight. There is only one real hiking trail, and that’s the upper trail. The other “trail” is a flat road which takes you (and 10.000 tourist coaches) to the Tiger Leaping Rock. While this is a stunningly scenic road and gives you a great sense of the raw power of the Jinsha river, it is more of a walk than a hike. The upper hiking trail takes you up a kilometre and gives you views you have only dreamed of. This is the one I did, and I was ready for a 4-day struggle against nature, fatigue, and weather, but, even though it wasn’t an easy hike, it was easier than I expected. You will need to be at least a moderate hiker in order to not get cramped legs; especially the hikes up and down the mountain at the beginning and end weren’t easy. Whichever trail you choose, there is an entrance fee of €10,-. It’s easy to find your way on both trails, as they are clearly marked. If you attempt the upper hiking trail, it is worth to take one of the narrow paths down to the river. 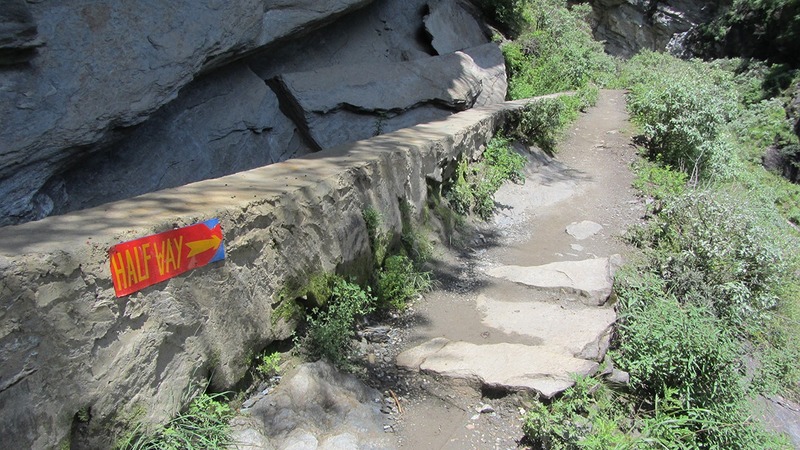 See the tiger leaping gorge maps to find out where they are. Entrance tickets to the gorge can be bought in Qiaotou, which is the main service gateway town for the gorge. If you arrive on the backroad from Shangri-la via Baishuitai or across on the Yangtze ferry from Daju, Baoshan or the Jade dragon snow mountain, there is a ticket office at Walnut Grove. Tickets are checked at the main river viewing area. My partners in hike (there were 4 more) which I met along the road. It’s pretty easy to get yourself a map for the hike. 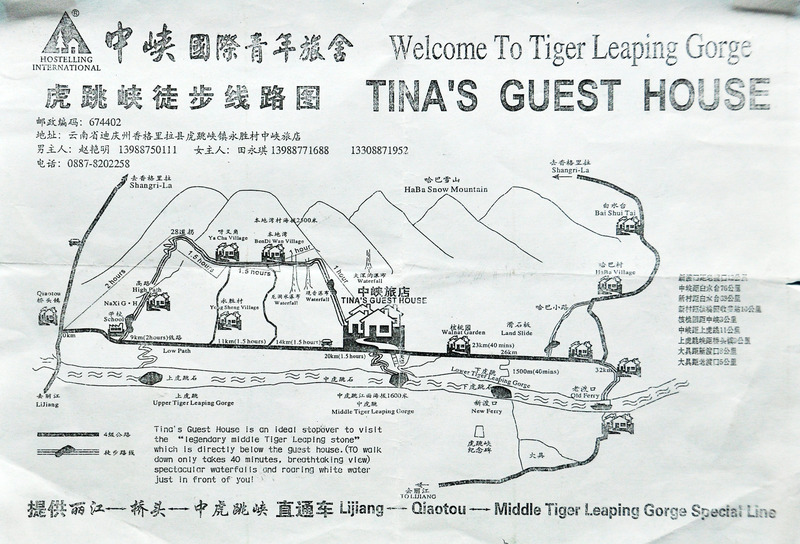 In most hostels in Lijiang, you will find a black and white map created by Tina’s Guest House. Although this map doesn’t look very clear on first glance, it is all you will need. If you forget to get a map in Lijiang, there are maps available at the entrance building of the gorge. When you get dropped off at the entrance of the hike and you have paid for your ticket, walk down the main road for a few meters until you’ll find a sign for the “High path”, taking you up the mountain. 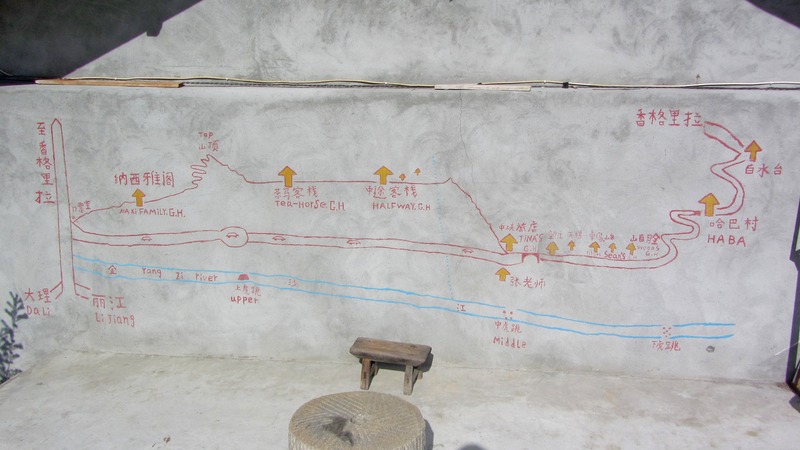 If you decide to stay over at the Naxi Family Guest House which I mentioned earlier, there is a map painted on the wall on the roof as well. The Tiger Leaping Gorge map you can easily find. Another map of the Tiger Leaping Gorge hike which can be useful to consult. 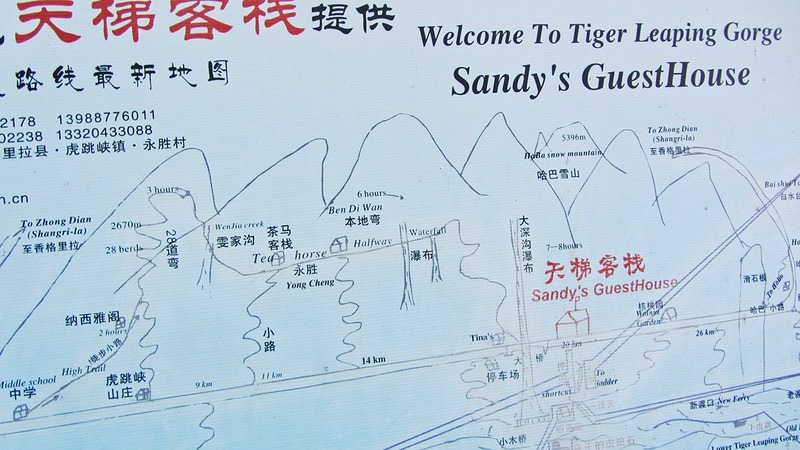 Yet another Tiger Leaping Gorge map, this time from Sandy's guest house. I didn’t book any guest houses in advance, I simply turned up. This worked out pretty well for me. The Halfway House and Tina’s Guest House are the most popular places to stay and it might be more difficult to stay there without a booking. You will come across the Naxi Family Guest House pretty soon in the day, so it might feel a bit weird to already call it a day. But the good part, besides the guest house being absolutely amazing, is that it caused the walk on the next day to be practically without any other hikers. It pays to book in advance in busy times, as sometimes the guesthouses get full, especially during holiday periods and if there are school groups visiting. 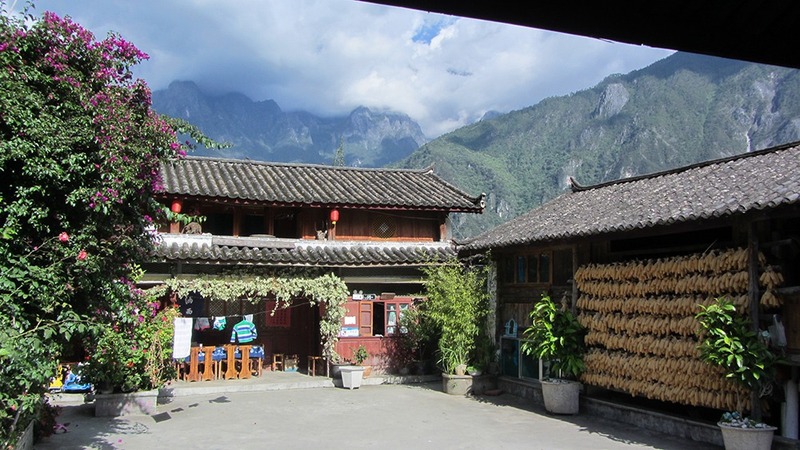 Check with the hostel you are staying with in Lijiang as they can help you book. 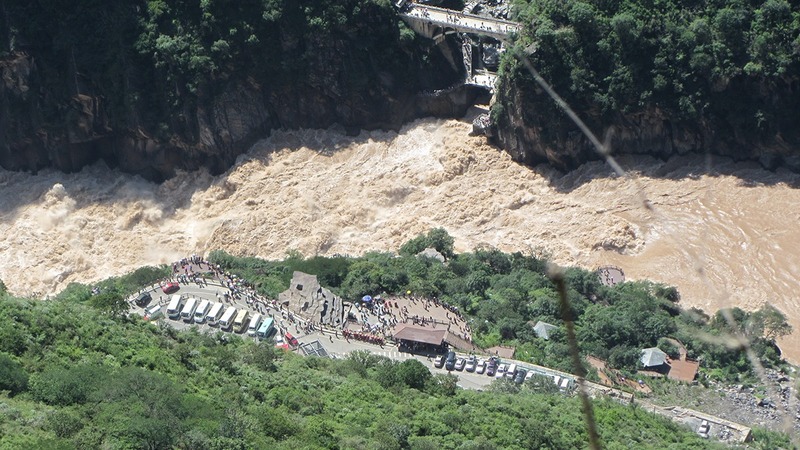 As mentioned before, the gorge may be closed periodically due the landslides or rockfall, which is more likely to happen from May to October, during the rainy season. Just one day’s heavy rain washed out the visitor centre a few years ago. However, this practically means that the ticket booth will be closed and there will be a barrier and/or a sign. The hiking paths can be very difficult or even unsafe to hike on. 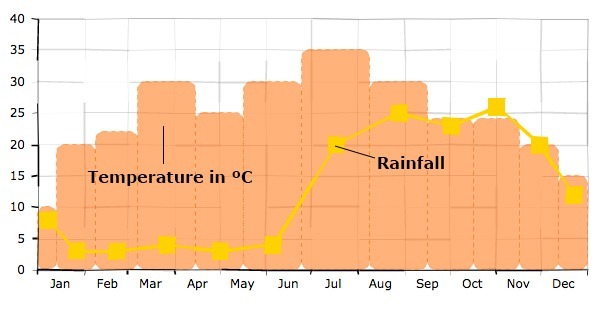 Therefore, only attempt to hike the trails when you have done your research on the weather on the trail and are absolutely sure the conditions are in your favour. 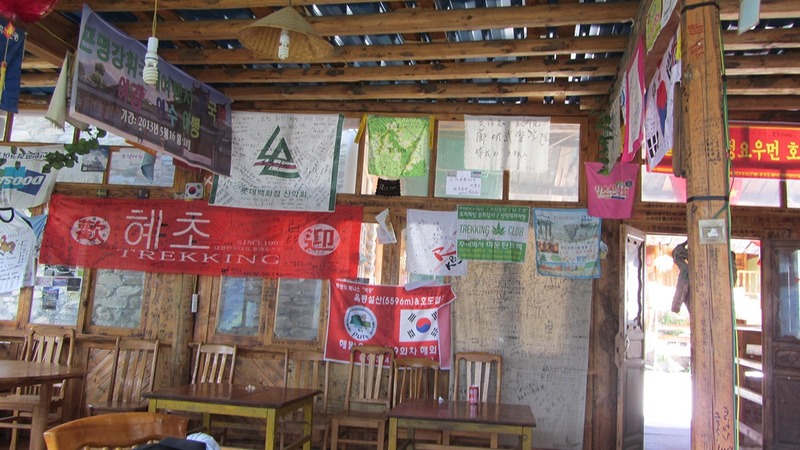 Do ask around in hostels in Lijiang if unsure. Another reason to not attempt the trail when it’s closed: you might get into trouble getting back to Lijiang from the end of it. Your best bet is to check with the hostels beforehand about getting a ride back. Every year or so, hikers have died in the gorge, over the last 30 years that the trail and gorge have been open. 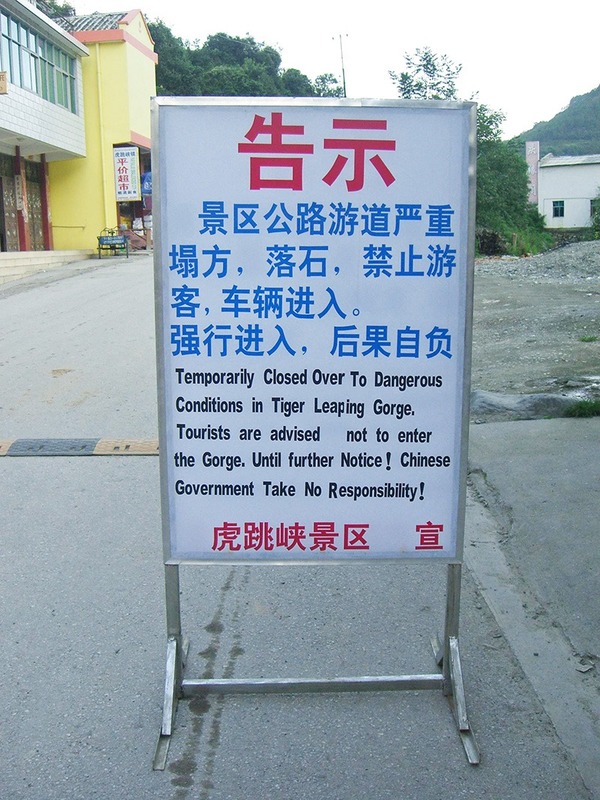 The sign you will see when the Tiger Leaping Gorge is closed off. Travel light. If you are hauling a big pack on your back for the 2-day hike, there is one thing which everyone will think of you: stupid. There are guesthouses along the way every few hours, along with some vendors selling snacks and water, so you don’t need to carry too much. Please, please, take out your rubbish, as you will see other visitors have just thrown their plastic wrappers and bottles beside the trail. 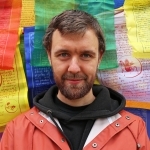 Keith is the founder of the Lijiang Earthquake Relief Project, which worked with Red Cross, he set up Lijiang Guides and has lived in the region since 2005. 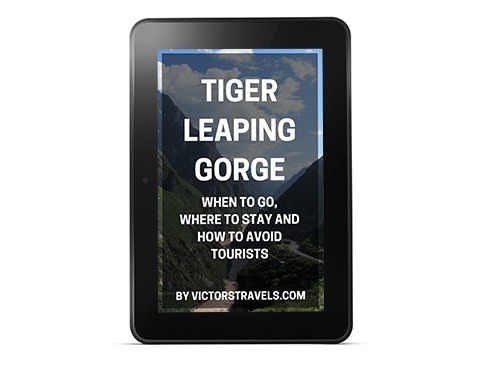 His company, Lijiang Guides, often takes guests for day trips, overnight hikes and extended trips into the Tiger leaping gorge, sometimes continuing onto white water terraces or across the Yangtze to stone village. Lijiang Guides works with local communities and most of its professional guides and drivers are from local ethnic minorities. In 2018, Lijiang Guides won an international travel and tourism award and has been featured in Lonely Planet China and other guidebooks. 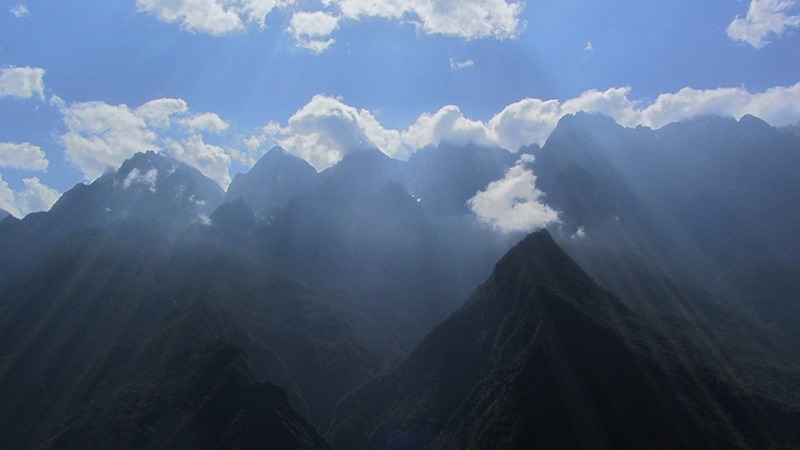 The easiest way to get to the Tiger Leaping Gorge is via Lijiang, a city that can be easily accessed by train. To get to Lijiang you can take a direct train from Shenzhen (near Hong Kong) which takes a brutal 32 hour if the “sleeper” spots are fully booked. Been there, done that and slept on the floor in between carriages. I recommend taking it easy and breaking the trip up with stops in Guilin, and/or Dali. Kunming can be skipped unless you want to visit the Stone Forest in Shilin (it’s beautiful if you don’t count the one million Chinese tourists). I walked the hiking trail early August, which provided perfect weather conditions. From Lijiang there are plenty of (Shangri-la bound) buses going to the Gorge; As tourists normally either go to Shangri-la or the gorge, you will have no trouble making yourself clear. You get off at the Qiaotou village, from there you walk a few meters to the hike’s entrance. A bus ride should cost about ¥40 (€ 5.40, price from Nov 2015). A recent Lonely Planet China might help for reference. 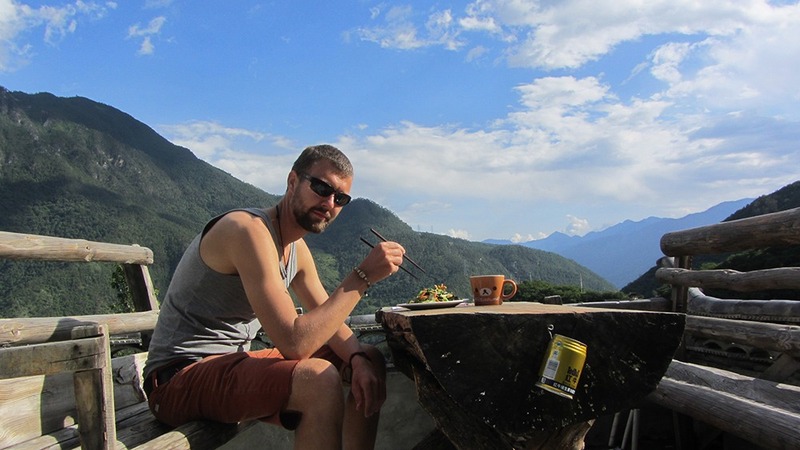 If you don’t want to end up following the same people for 2 days, you can stop at the first guesthouse (Naxi Family Guest House) for the best value of all the guesthouses I’ve seen, anywhere in the world really. For 2.50 Euro (almost the same in Dollar) you get a 2-person room, and if you’re lucky you’ll be the only one in it (can you tell that I’m a bit introvert sometimes?). The food, serenity and lovely (English speaking!!) staff are well worth the stay. And best of all, and here comes the tip, you will have the route all to yourself if you leave early on day two. Not many people end their first day at this guest house, since it’s only about a 3-4 hour hike from the start and would feel much like giving up for most. 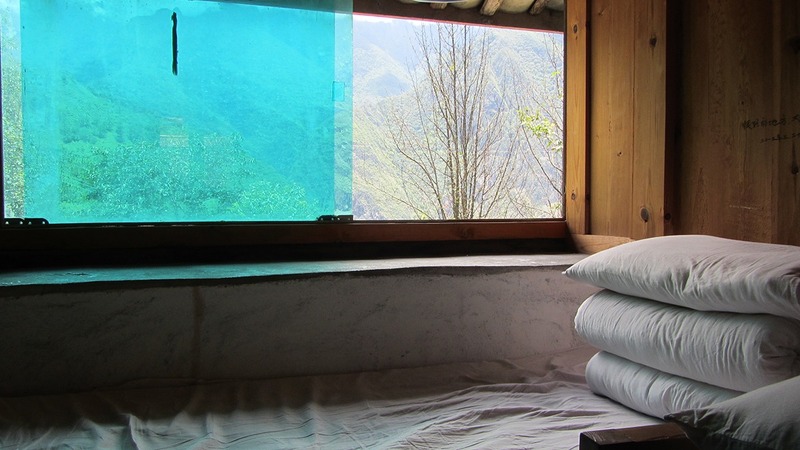 The Naxi Family Guest House is the first guest house you'll run into on the hiking trail. It's definitely worth a stop! 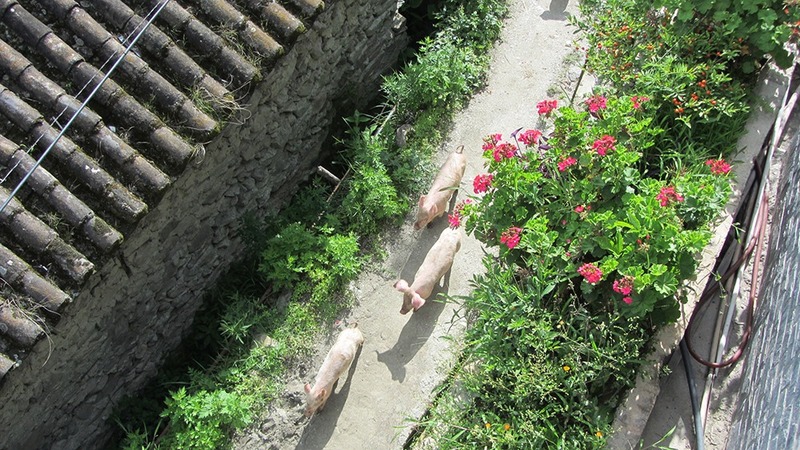 The naxi family guest house comes with pigs! Breakfast at the Naxi Family Guest House. Amazing food with an otherworldly view. The name of this guesthouse can’t get any more literal, but it definitely causes hikers to choose this guesthouse as their first stop for a night’s sleep. It’s definitely a beautiful place to stop and rest or enjoy a meal, even if you’re not staying here. 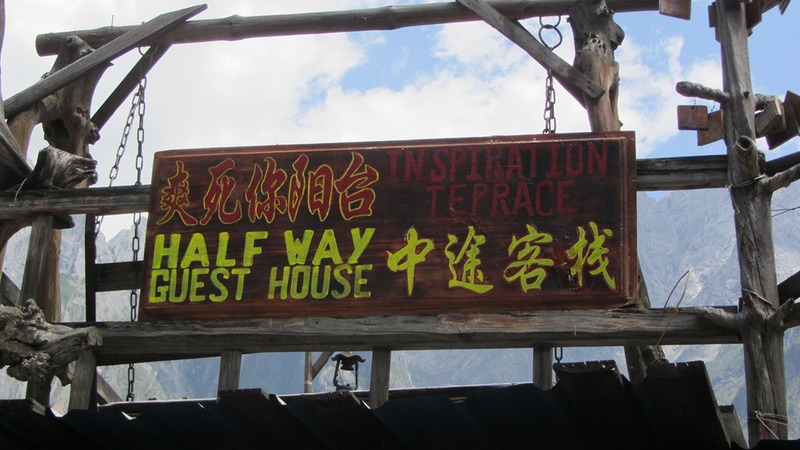 The signs pointing to the guesthouse from the trail are a welcome sight as well, as they simply say “halfway”. Words don’t do this trip much justice, so I’ll stop writing now and start posting pictures of the Tiger Leaping Gorge to give you a little taste. Pictures don’t convey the full beauty of this hike though, so you’ll have to walk the walk yourself to truly understand what’s out there. One of those moments where I felt like the king of the world. 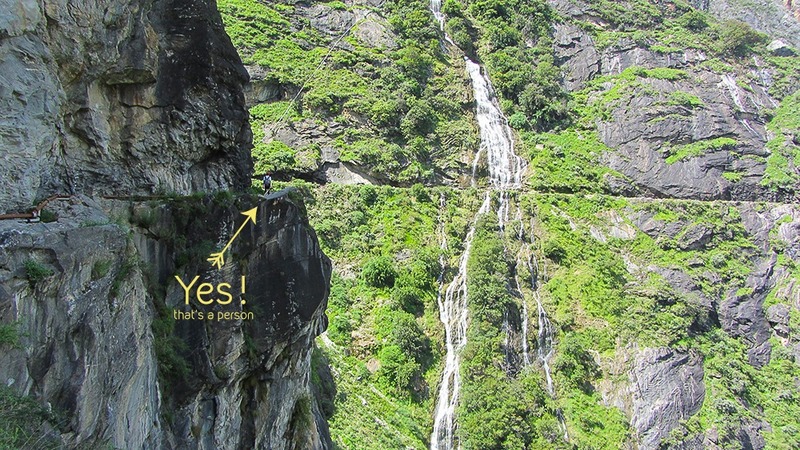 A spectacular waterfall at the Tiger Leaping Gorge. Wait, is that a person? A goosebump moment on the first day: a double rainbow in the valley. The mountains are so ridiculously vast that I couldn't take my eyes off it for 2 days. 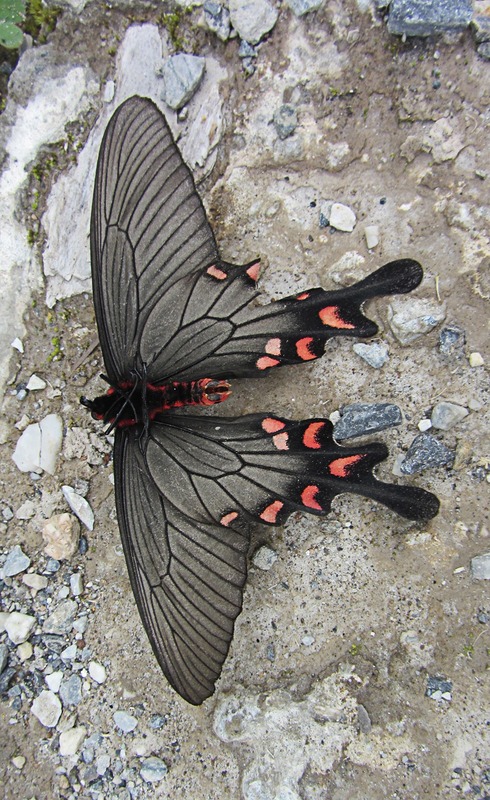 This beautiful butterfly is one of many I encountered on my trip. The best toilet in the world, period. 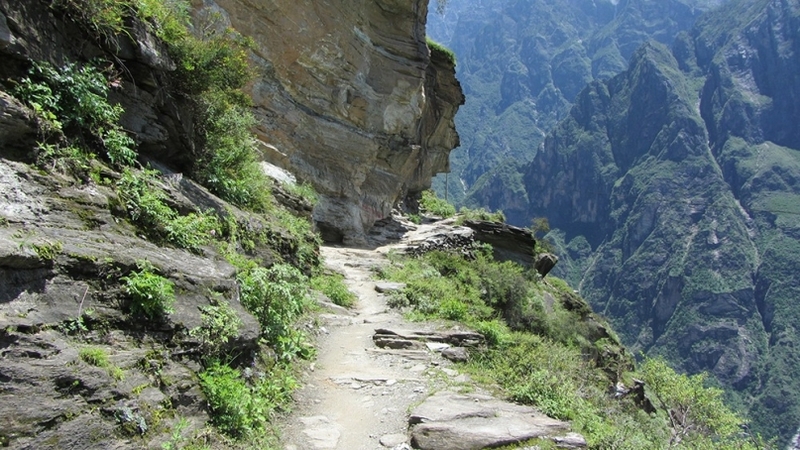 I plan to hike the Gorge in October and afterwords would like to travel to Lugu Hu. Do you know of any easy connection to the lake after the hike and from the lake back to Lijiang? I’m afraid I don’t know the answer to that one, as I headed back to Lijiang after doing the trail and I haven’t really looked for options onwards. I hope you can find the answer elsewhere! 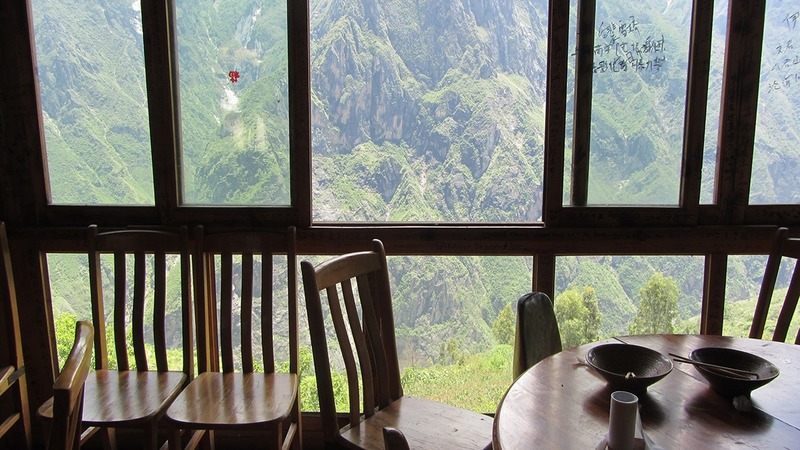 My wife and I are hiking the upper trail In August this year and wondered that if following your recommendation to stay at Naxi GH to leave in good time in the morning, is it reasonable to hike to Walnut garden YH or better to take a night in between? I would definitely think that is doable. It depends a bit on your level of fitness and the weather, but when you leave in the morning I would say go for it! Thanks for the feedback! It seems like you know the gorge like the back of your hand 🙂 I will make changes in the article based on your input. 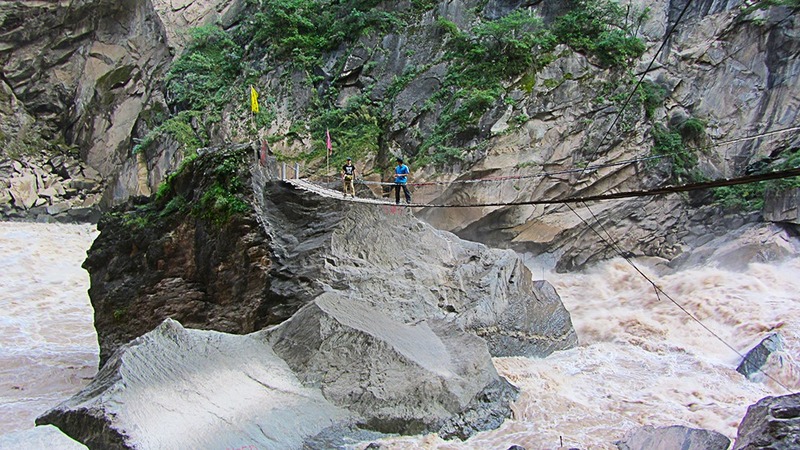 I am going for a 3 days 2 nights hike to Tiger Leaping Gorge next week. I wonder whether is there any porter service available?